Yup, here's another "Essential Guide" book! 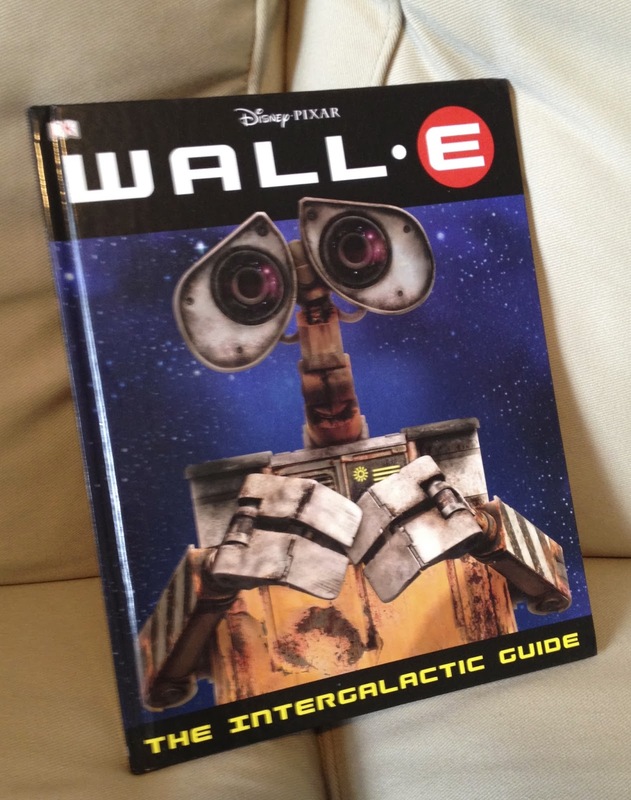 This time though, since based on Wall-E, DK publishing decided to be a little creative by calling it the "Intergalactic Guide" instead. These books always chock-full of lots of fun info about characters, plot points, props, fun trivia ("Did you know?" facts), quotes, stats and much more! They are definitely geared more to a younger crowed, but I still say they're great for learning so many simple things about the films that you might not get from just watching them. They're just as fun for adults, or at least I speak for myself. I especially like this one since I really don't have very many items from Wall-E. This book is hardcover and has 48 quality, insightful, colorful pages.